Successfully achieving certification in the Fundamentals of Laparoscopic Surgery (FES) is a national requirement to receive the initial American Board of Surgery certification. 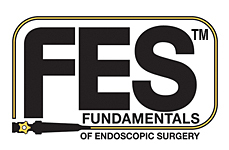 For people who have already received their American Board of Surgery certification, the FES certification is valuable as a foundation or supplement to any MIS curriculum. In order to be eligible to take the FES exam you must follow the instructions via the self-instructional web-based program, available for purchase at http://www.flsprogram.org/. Please schedule your test at www.webassessor.com/sages. *We cannot assist you in scheduling this exam; you must use the webassessor to schedule your exam date. Vouchers for FES testing must be purchased via the FES program. There is no fee from Roswell Park Comprehensive Cancer Center to sign up for testing dates. There is a fee associated with utilizing the ATLAS program for training purposes in preparation for the FES test.